1University of Vermont; 2University of Sydney; 3Institute of Geological and Nuclear Sciences. The effects of changing thermal and structural regimes in the lower crust on the tectonic evolution of an orogen. 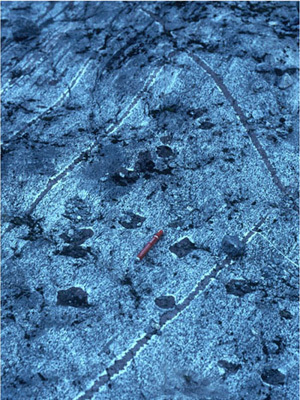 Evidence of melt sources and mechanisms of magma segregation and transport through the lower crust. 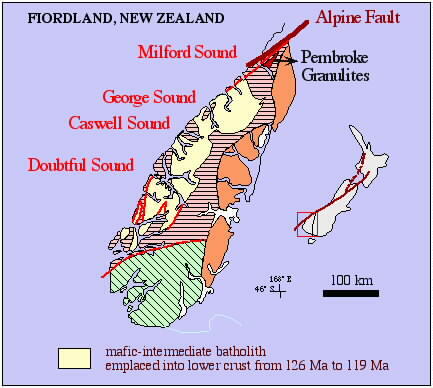 The effects of lower crustal melting and magmatism on vertical coupling/decoupling within the lithosphere. Feedbacks among crustal melting, melt migration, granulite facies metamorphism and deformation. Changing kinematic patterns in lower crustal shear zones and their relationship to magma transport. April 26 Participants will fly to the city of Dunedin, New Zealand by 5:00 PM for dinner and orientation. 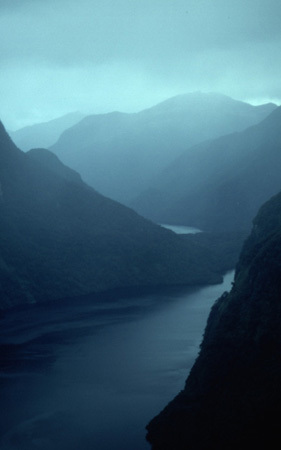 April 27 Travel to Milford Sound by chartered bus, stopping to examine magma mingling textures and mafic intrusions in the upper crust of an early Mesozoic island arc. April 28-30 Orientation and a short in-house conference where participants present and discuss relevant work. Outcrop examination of lower crustal granulites , high-P migmatites, granulite facies mineral assemblages, and lower crustal shear zones. Access by helicopter if weather permits. 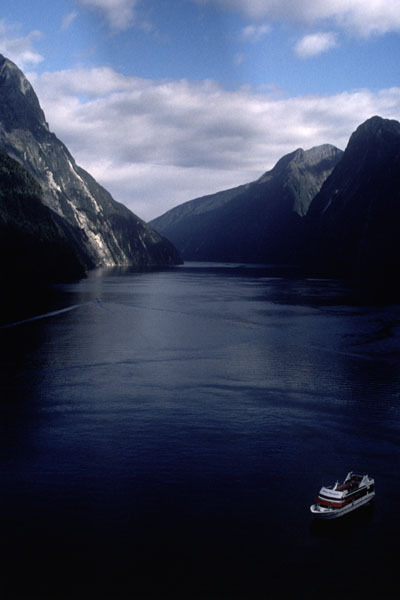 May 1 Board the vessel Milford Wanderer to examine coastal exposures of Milford Sound. Includes boundaries of the granulite belt & early Mesozoic arc, and lower crustal shear zones showing variable styles of strain partitioning. May 2 George Sound : Examine migmatite textures, metamorphic assemblages, and intrusive contacts inside a mafic-interm. lower crustal batholith. Relationships here contrast with those found below the batholith. 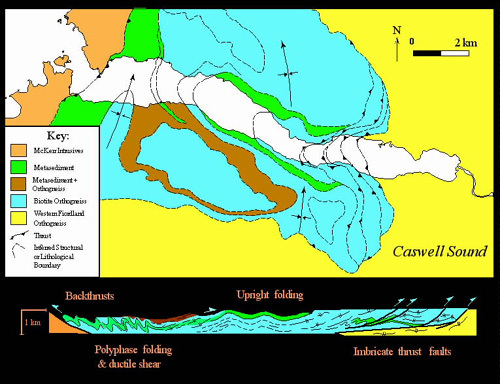 May 3 Caswell Sound : Examine a mid-crustal fold-thrust belt and its relationship to magmatism at and above the uppermost contact of the batholith. May 4 Crooked Arm: Examine sheeted ultramafic, gabbroic and dioritic intrusions, evidence of the partial melting of mafic lower crust and extensional shear zones that evolved at garnet granulite facies conditions. May 5 Continued examination of Crooked Arm leaving boat by 12:00 PM. Bus & ferry to the town of Te Anau to eat dinner and stay for the evening. May 6 Travel to Dunedin (5 hours) in the morning. Flights out after 1 PM. For 5 days we will live aboard the vessel Milford Wanderer to access remote sites along the waterways of Fiordland National Park. The Milford Wanderer is a fully enclosed, comfortable boat with three decks, 35 berths, tendercraft and a crew of five. First night in Dunedin will be in a motel. We also will stay 3 nights at the Milford Lodge (comfortable budget accommodation) where we will visit field sites and hold an informal conference prior to boarding the Milford Wanderer . We may use short helicopter trips if weather permits. While aboard the Milford Wanderer we will visit outcrops using small boats and anchor in protected areas for the evening. Dinners at 6-7:00 will be followed with informal discussions. Participants should be physically fit and comfortable walking on steep, rocky terrain. Limited roadside access will involve short walks (<0.5 km). Elsewhere we will be in mountain valleys (<1500 meters) or landing on coastal outcrops. Participants should be prepared for wind, rain, and cool (5-10°C, 40-50°F) temperatures. A list of recommended clothing will be provided. This Field Forum is limited to 30 people. We encourage all geoscientists, and especially graduate students, with an interest in deformation, metamorphism and magmatism in the deep crust to apply. We aim to attract geologists, geophysicists, modelers and experimentalists. 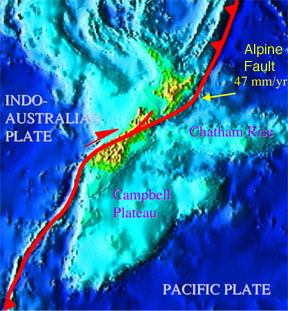 Participants should make their own travel arrangements to and from Dunedin, New Zealand. 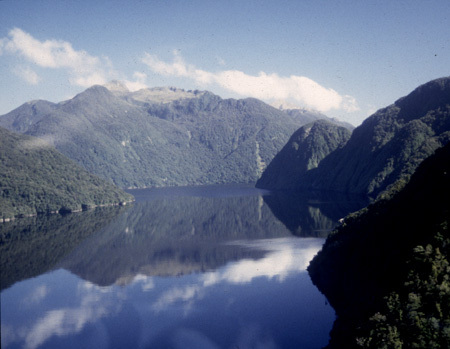 A registration fee of US$960 covers guidebook and all transportation, meals and lodging within New Zealand. Please send a letter of application to Keith Klepeis including a statement of interests, recent work relevant to the meeting’s themes, the subject of any proposed presentation (verbal or poster), and contact information (e-mail address). The registration fee is due by February 17, 2003 .